Kuhlman Builindg at 13 N Broadway shown in teal. Ledru Guthrie Law Office shown in gold. 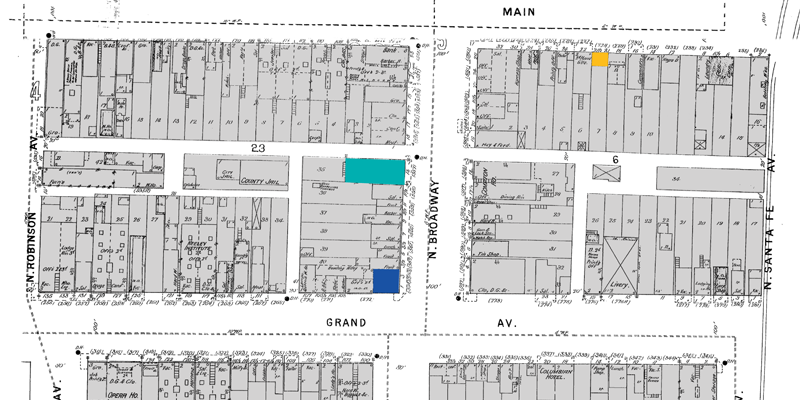 Hill Brothers Saloon shown in blue. In 1890, Oklahoma City council chambers, police courtroom and the city clerk's office moved to the Kuhlman Building, 13 N. Broadway. ©OHS Archives. All rights reserved. Always short on revenue, the City eventually acquired its own building by evicting a saloon. 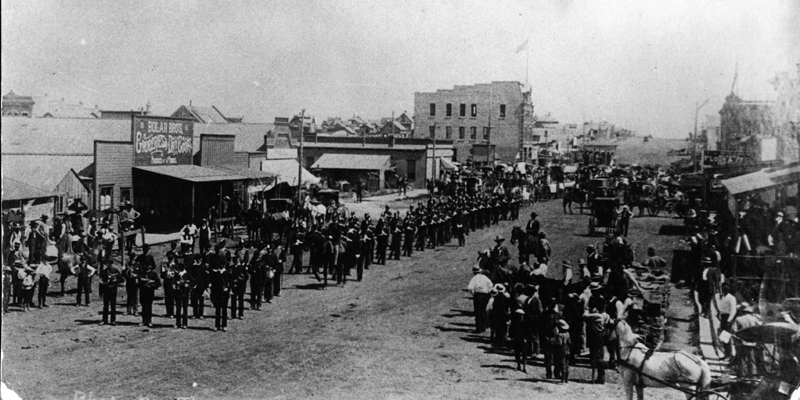 The Mayor and City Council of Oklahoma City first met on May 3, 1889 in the law office of councilman Ledru Guthrie on the south side of Main Street, mid-block west of the Santa Fe tracks. The City had very little revenue to pay rent or salaries. Its revenues were limited to sales of lot certificates, fines, licenses, and the like. Fifteen months later, after the election of a new mayor and city council in August, 1890, the council voted to lease council chambers, a police courtroom, and clerk's office in the Kuhlman Building at 13 N. Broadway for $25 per month. 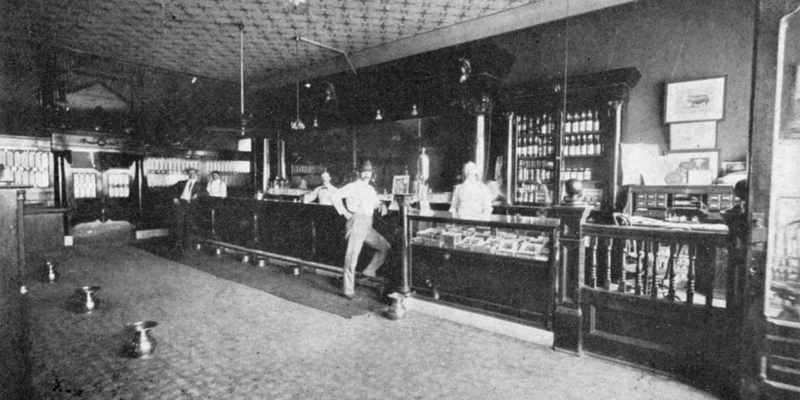 The Black and Rogers saloon occupied the first floor. Nearby, on the northwest corner of Grand Avenue and Broadway, Joe and James T. Hill, who had arrived as sooners on April 22, were operating a boarding house, saloon, and billiard hall, all duly licensed by the City. In October, 1893, the townsite trustees determined that the Hill brothers were sooners and in the absence of other claimants, delivered a deed for the two lots to the City. A few days later, the Hill brothers were arrested for allowing gambling and liquor on the same premises, their property was seized, and the City offices promptly moved into the vacant building.